I drove up to the West Gate of the White House one evening in June, 1962. I was driving a borrowed car. From her home in Spokane, Washington, my aunt, Alma Reeck, had flown to New York City with my young brother, Jerry. In New York City she and we picked up the new car at a dealership on the Upper West Side. I’d just finished my first year as a graduate theological student at New York Biblical Seminary, located on East 49th Street. The headquarters of the United Nations was a few blocks away. I was preparing for a ministry career and had been accepted as a ministry student by my church denomination. 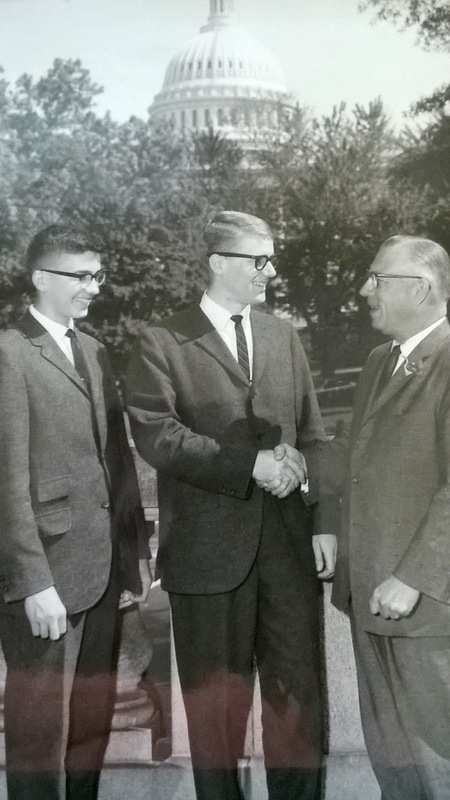 Aunt Alma’s mission for her trip was to take my brother and myself to Washington, D.C., considered to be an educational destination for every young American. We drove from New York City to Washington, D.C. Once checked into a hotel, she proceeded to introduce us to one sight after the other. What a guide she was! She made certain that we paid a visit to our Congressman from Tacoma, WA: Thor C. Tollefson. You can read about his amazing career of public service at this link. Imagine us, at our early ages, being in the shoes of my brother and myself, conversing with this great man. One destination I arranged for myself. It was my solo visit to the White House. Driving my brand new borrowed car, I drove up to the White House security gate on State Place, N.W. The guard asked for i.d. inquired, "Why are you here?" I gave my story: a friend of mine, (I’ll call him John Seaborne), has invited me here to meet with him. The guard waved me through the gate. It was evening and I drove through darkened, quiet grounds and up to the brightly lit South Portico. There is where I was to meet John. I turned off the engine and waited. In a few short minutes, John walked through the colonial white door and we chatted—him at the driver’s window and me in the driver’s seat. South Portico, 1962: overwhelming, beautiful, very beautiful. John and I had been friends and classmates at Seattle Pacific College. We’d kept in touch since our graduation in 1960. Even during college, John demonstrated a talent for attaching himself to the rich. For example, during his senior year he’d lived off-campus in a mansion on Capitol Hill owned by a wealthy Russian widow who’d re-settled late in life to Seattle. The specific relationship was always unclear to me. In awe, I just attributed it to John's talent for getting the friendship and support of notable people. The Vice President in June, 1962 was the rough and tough—and the great—Lyndon Baines Johnson. Johnson was married to Lady Bird; they had two daughters. My friend, John. had somehow related to one of Johnson’s daughters. All of a sudden there was John, emerging with a smile from the south portico. I stayed by my car and never entered the White House. John and I chatted and in thirty minutes or so he reentered the White House through the same doorway used by presidents, Secret Service and distinguished visitors. I drove off the grounds and back to the hotel. A bit about John F. Kennedy and Lyndon Johnson—each a great president in his own way. Kennedy was handsome and persuasive; Johnson was tough and persuasive You could see it in his eyes. Years later, I visited the Johnson Museum in Austin, Texas, and read a transcript of a conversation between him and a senator. Johnson replied, Then you damn well better vote for. . .and he named a certain bill for which he was fighting. —all causes that make America truly great and causes that he and Pres. Kennedy shared. Such are the sorts of causes citizens can champion now, in support of their Congressional representatives who care about their country. Back to the White House. Though my visit was brief, I left feeling that I’d been to the center power where a long series of presidents have worked to make America truly great. I'm grateful for parents, teachers and others who give their kids visits to the great monuments of Washington, D.C. or similar sites in their own nations. I'd hold off on a visit to the White House right now, though, until the the beloved U.S.A. has, once again, a president who is committed to core American values. 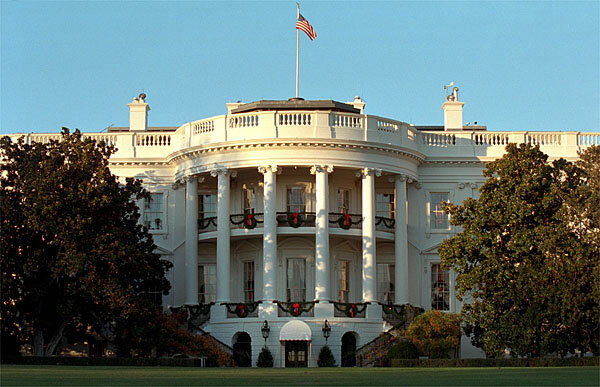 Have you visited the White House? When? Share your story.--in a comment or in person with a friend or family member. Stories are a vehicle of our values. P.S. I posted the story above well before the current President called the White House "a real dump." (8/1//2017.) Oh his incredible dis-respect! I stand with Chelsea in thanking the entire White House staff for up-keeping the stately old mansion.